A dose management system (DMS) is essential to improving patient care and quality in a hospital's radiology unit or department, according to a new study published in the journal Physica Medica. "It [DMS] can be configured to the needs of medical physicists, radiologists, technologists, even for the management of the hospital. Collaboration between all health professionals and stakeholders, input-output validation and communication of findings are key points in the process of a DMS implementation," the report says. Due to the upcoming European Directive (2013/59/EURATOM) and the increased focus on patient safety in international guidelines and regulations, patient dose monitoring systems, also called dose management systems (DMS), are introduced in medical imaging departments. Particularly, compliance with Diagnostic Reference Levels (DRLs), as well as justification and optimisation of radiation doses, following the ALARA principle (As Low As Reasonably Achievable), form the main scopes of this new directive. For example, Member States shall ensure the establishment, regular review and use of DRLs (Article 56.2). Appropriate corrective action should be taken when they are exceeded (Article 58.f). At present, radiology centres in Europe (ranging from small practices to large hospitals) are only required to collect and send a selection of patient dose data to their respective national legal authorities. 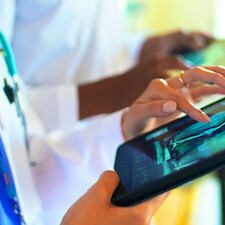 Often, this task is performed manually, as most hospitals are not yet equipped with a patient dose monitoring platform. In the journal report, authors describe the steps that a radiology department needs to follow, from the decision-making amongst different systems up to the completion of the configuration procedure and use. A team of experts (medical physicists, radiologists, technologists, IT specialists, etc.) has to cooperate to solve technical, as well as scientific challenges. "Going through this process is not free of cost, due to procurement or maintenance costs and the necessary personnel commitment that is required for the configuration and operation," the authors explain. Moreover, they also highlight the key benefits that a DMS may offer to the department. "A state of the art DMS improves the quality of service, ensures patient safety and optimises the efficiency of the department. The gain is multifaceted: the initial goal is compliance monitoring against diagnostic reference levels. At a higher level, the user gets an overview of the performance of the devices or centres that are under his supervision. Error identification, generation of alerts and workflow analysis are additional benefits. It can also enable a more patient-centric approach with personalised dosimetry. Skin dose, size-specific dose estimates and organ doses can be calculated and evaluated per patient," the authors write. If a radiology department aims for continuous improvement and sets high standards for quality of the offered services and patient care, the implementing a DMS becomes necessary. Although it takes time and effort to fully exploit the tool’s capabilities, the overall benefit for the department clearly compensates for that, the authors add. 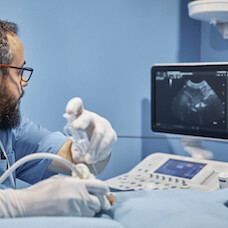 patient care, Radiology Unit, dose management system, DMS A dose management system (DMS) is essential to improving patient care and quality in a hospital's radiology unit or department, according to a new study published in the journal Physica Medica.